After feeling too much pressure from life in Paris, Van Gogh moved to Arles to find new inspiration and to recover from his drinking and constant cough caused by smoking cigarettes. He first stayed in a small Hotel Restaurant where he expected to create a perfect art colony. At first, Van Gogh was working with Christian Mourier-Petersen for two months. He found inspiration in the local landscape and bright lights. 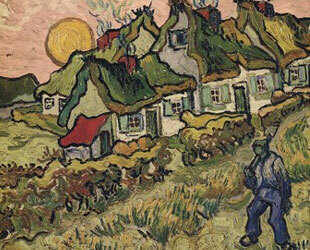 Shortly after, Van Gogh rented a yellow house that was unfurnished that he could use as a studio. 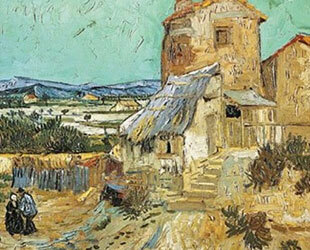 During this time, he made a series of paintings with which he intended to decorate his yellow house. At this studio, Van Gogh also held drawing lessons to a second lieutenant in the French infantry, in a place named Saints Maries de la Mer. During that time, he painted a lot of boats at sea and village landscapes. When Paul Gaugin visited Arles, Van Gogh was excited to have his friend come and started to further develop his idea of creating an ideal place for artists to reside. That period was his inspiration for his famous sunflower series. 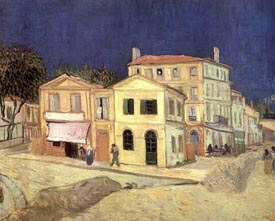 After Gauguin started living with Van Gogh, they started a project that was supposed to decorate the yellow house. Although Van Gogh greatly admired Gaugin and wanted to see him as his equal, Gaugin was arrogant and often disagreed with Van Gogh. This period was very hard and stressful for Van Gogh. 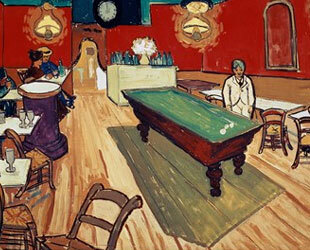 It was right after Gauguin decided to return to Paris that Van Gogh lost his ear. 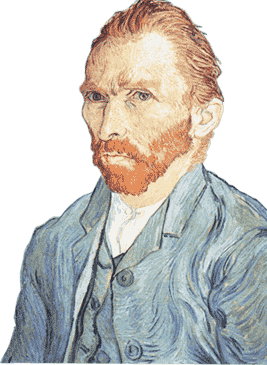 There is a lot of speculation over how and why Van Gogh's left earlobe was cut off. The original legend describes Van Gogh cutting off his earlobe using a razorblade in an act of insanity right before Christmas of 1888. According to legend, after cutting off his ear, Van Gogh wrapped it in a piece of cloth and is said to have delivered it to a prostitute. After this prostitute notified the authorities, the police discovered Van Gogh passed out in his blood soaked bed the next morning asking for Gauguin. 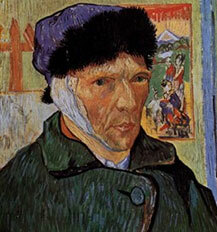 Recent historians argue that Gauguin may have in fact cut off Van Gogh's ear. It is speculated that the two entered in to a silent pact never to speak the truth. According to Hans Kaufmann, an author of a book called the Pact of Silence, writes,"The men had a heated argument near the brothel and Vincent might have attacked his friend. Gauguin, wanting to defend himself and wanting to get rid of 'the madman' drew his weapon and made a move towards deceased an Gogh and by that he cut off his left ear." After this argument, it is speculated that Gauguin remained silent to avoid prosecution while Van Gogh was silent in an attempt to keep Gauguin's friendship. "We do not know for sure if the blow was an accident or a deliberate attempt to injure van Gogh," says Kaufmann. "But it was dark and we suspect that Gauguin did not intend to hit his friend." 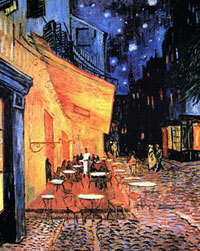 After that event, Van Gogh was put in a hospital where he didn't have much contact with the world. During this time, he painted his own interpretations of other artists' works. He was released from the hospital about a month later. Upon release, he went back and forth from his home to the hospital because of hallucinations and delusions. Two months later, he admitted himself to an asylum in the Saint Remy de Provence.